We live in an era where the art of writing appears to be fading away to be replaced by emails, texts or messages on various social media platforms. The joy of receiving a real card through a real letter box is all the greater for being so rare these days. This paper and ink card can be displayed and even framed, meaning that you can cherish it for longer. It stays as a is a reminder of the care and love that came with the card in the first place ! 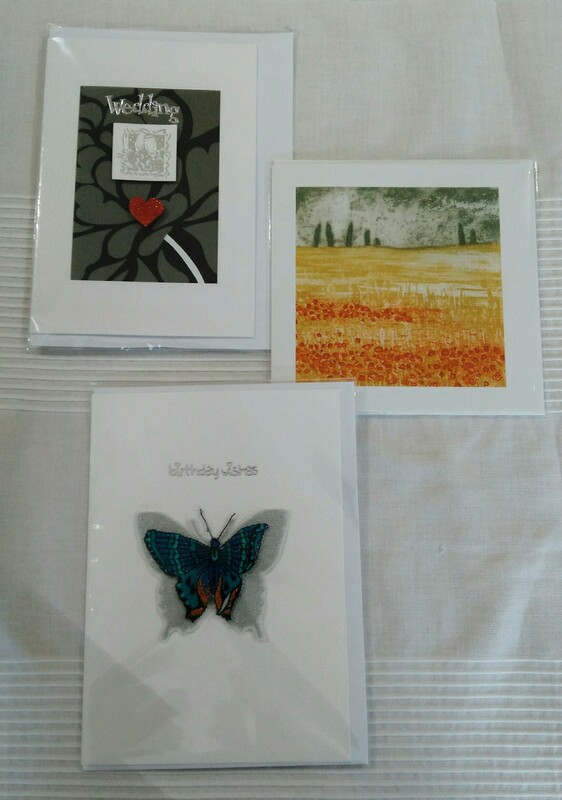 The cards available at Handmade Design Studio are designed for any and every special occasion. They are made in small batches and some are one-off or commissioned. The card makers include artists Orla Barry, John Corrigan, Carole Fanon, Lorna Farrell, Gail Kelly and Fergus O’Neill.